"Thank you for contacting Network Rail. We can advise that works will be undertaken this weekend in this area. We hope this should help alleviate the problems you have experienced. We appreciate this may simply be a happy coincidence but it at least suggests there’s some awareness of the issue. We will of course continue to monitor. Might be worthwhile others also contacting Network Rail via the web chat route if they’re concerned about train noise and vibration. This appears to be Network Rail’s generic response. They have told me they will this month be working to fix the ‘broken’ rail located adjacent to 39 Stanstead Road (this is approximate location as I have no access to track) on the inside south bound track used by stopping trains coming into platform 2 at Forest Hill Station. It will be interesting to see if there is any sign of work and if it makes any difference. But if anything does happen credit should go to @DevonishForester who has kept Network Rail focused on this issue! Forest Hill Station today. Fingers crossed! Whatever work they were doing seems to be unconnected with the broken/uneven rail that myself and at least two neighbours have been reporting for 18 months. 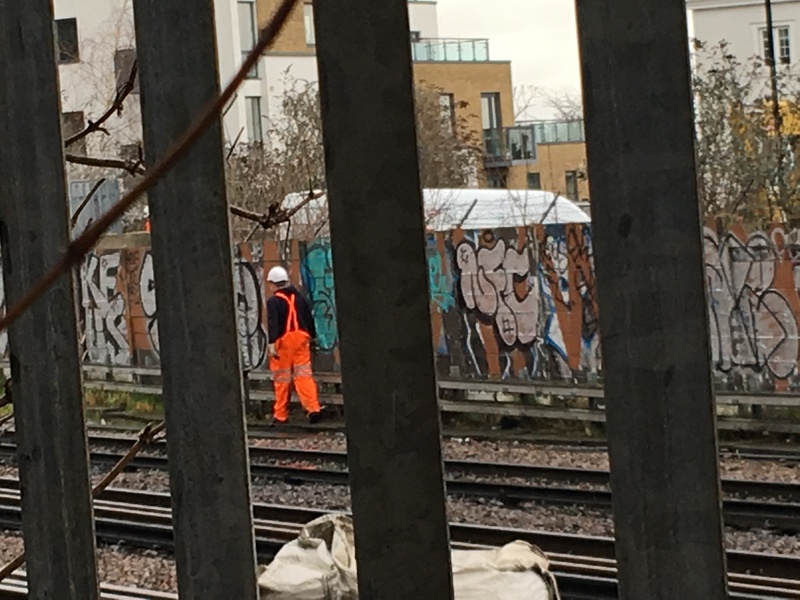 On several occasions Network Rail have told me it’s been dealt with or about to be dealt with … they close then the case and I’m supposed to re-report, they allocate a fresh case number, and we repeat the sequence. Anyone affected by rail noise/vibration issues interested in forming a working group (possibly under the auspices of Forest Hill Society) to explore action, please PM me. I would be interested in a working group to see if there is anything I can do to improve the situation. I live on Devonshire Road and our garden is level with the tracks and have noticed a considerable increase in train noise and vibration, since the introduction of the Thames Link Service and the new timetable. The speed of some of the trains is quite alarming. I think this will only get worse with the ever increasing frequency of trains. 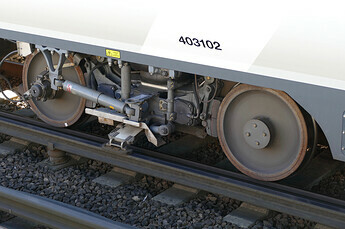 There is an “insulated block joint” on both southbound lines at the same location there. 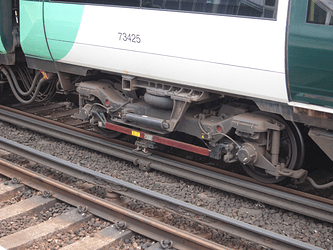 They are places where two “Track Circuits” are separated, so there is a gap between the two lengths of rail, filled in with an insulating material. If that has worn down then there will be a larger gap than normal and creates that noise residents are hearing. On Google Maps, you can see the exact location by looking for two boxes joined by a long metal strip in the centre of the rails. 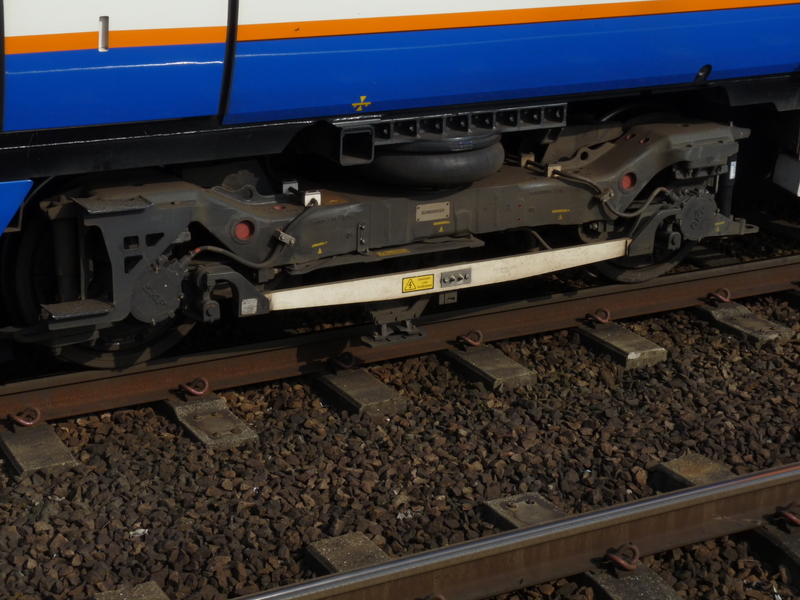 Hopefully that information can help them when trying to give a location to NR, as they’ll be looking for an actual broken rail - not the insulated block joint. Also, the same issue is at New Cross Gate if you leave southbound on a London Overground train, you can hear the ‘clunk clunk’ they go under the bridge. I hope this could be of some use perhaps when you contact Network Rail. Quick update for those concerned about the banging noise that has been going on for about a year on the Southbound track just north of Forest Hill Station (between Stanstead and Devonshire Roads). I spoke with Network Rail this morning, they claim (and my experience with them is to believe it when I see it) that they have confirmed there is a problem with an insulating block joint at that location, that on 18 Feb they sent an email to the service team requesting an inspection, which is supposed to take place within 20 days and thereafter they will schedule the maintenance to fix it. So it sounds promising but they’ve given assurances like this several times over the past 9 months without delivering. I have written back to ask in what circumstances they will consider installing nose baffling. Noise expected to be emitted by High Speed 2 would breach new World Health Organisation-recommended limits in areas closest to the line, The Sunday Telegraph can disclose. It would be interesting to know how our situation could be measured in relation to that standard. I don’t think I can face calling Lewisham Environmental Services to be told “we don’t deal with it”. Whether that would do much good for anything above ground floor I’m not sure though. It may even act as an amplifier for those ‘above’ the track. As for the WHO thing… I’m thinking of getting this decibel meter app thing for my ipad to get some idea of the levels… how it’s calibrated I’ve no idea but at least it’ll answer my question about why they seem louder between 8pm and 12 ish. Anyway… happy to be involved in any efforts to make out lives a bit more peaceful! when the line was closed at the end of Feb, because of faulty or broken equipment, so it has been rescheduled for end of May. Is anyone up for some work to see if anything can be done about the new schedule of fast non-stopping trains which is the main problem as noted by BirdinHand who kicked off this thread? Whether we could get noise and vibration measured, and whether there’s any possible remedy available? I’m not sure how to proceed, but happy to discuss with anyone interested. I have received some PM’s about this and I think we will set up a meeting soon. I am pessimistic about getting any help from Lewisham, even though I believe they do have a Duty of Care for residents. 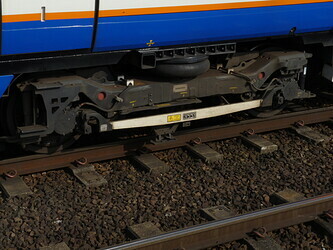 The Thamselink trains (Class 700), have a distinctive and new type of bogie. It is fully open on the sides compared to the Southern Class 377 and the London Overground Class 378 (they are the same family of train, Electrostar/Capitalstar). The 455s usually travel quite slowly anyway so never an issue. The problem I think is that on the Thameslink trains, the noise from the wheels can be easily deflected sideways, whereas the 377/378s the noise is more likely bounced around between the bogies and back out, as only about a quarter of each wheel is exposed externally. With the longer 12 car Thameslink trains running constantly, it would be very noticeable. Thanks for the interesting post. But I think the explanation is probably simpler - the Thameslink trains run fast between London Bridge and East Croydon so they go through Forest Hill at considerable speed and they are 12 carriages long. By contrast fewer Southern Services run fast through Forest Hill (and those that do to my eyes are not going at the speed of the Thameslinks neither are they as long), and of course the London Overground services travel slowly and are decelerating into Forest Hill station. Ironically because of the broken insulating joint on the slow southbound line that has been broken for 12+ months and has still not been repaired despite numerous complaints to Network Rail, the London Overground trains are as much of a noise annoyance as the fast trains currently! Very grateful to you and nephew. I have asked Network Rail what the speed limit is for non-stopping trains though Forest Hill. I will post here if/when they reply. A Southern new style train will go the same speed through Forest Hill as a Thameslink train if it’s on the fast line. The limit on that line is 60/70mph (husband who knows these things can’t remember off the top of his head which it is). Thanks RJM. My next question will be how this limit is set: who sets it and what criteria are used to assess an appropriate speed? From what I’ve picked up, I would assume it’s not dissimilar to how road speed limits are set, based on safety and the type of line eg the high speed lines will be very different to the suburban ones. But I don’t work in railways, so this is all second hand knowledge. He is good but probably sick of me pestering him by now, he won’t come here himself. He said his company prohibits social media presence, or something like that. From New Cross Gate to Norwood Junction, it is 60mph on the slow lines and 70mph on the fast lines (both directions). Line speeds are determined by a number of factors, namely curvatures, gradients, infrastructure, signalling and types of train driven over it. In most places there is also a lower speed for freight alongside a higher speed for passenger services. Network Rail own and maintain the UK railway infrastructure, set the permissable speeds and govern it’s usage (operators have to pay NR to access the infrastructure, using it’s electricity and to maintain a scheduled service on it). Network Rail also employ the Signallers and operate the Signal Boxes/SCC/ROCs.